Laura Cunningham, 10, left, Hunter Shows, centre, and Brandon Perry, 10, right, watch the waves crash from Tropical Storm Gordon on Sept. 4, 2018 in Dauphin Island, Ala. Tropical Storm Gordon weakened into a depression on Wednesday but was dumping heavy rains that threatened to cause floods across several southern U.S. states while Hurricane Florence strengthened to a Category 4 storm and could menace Bermuda. Gordon made landfall on Tuesday night near the Alabama-Mississippi border with near hurricane-force winds, the National Hurricane Center said. But by Wednesday afternoon its center was well inland, dumping heavy rains and causing flooding in western Florida and coastal Alabama. Property damage was minimal, the NHC said. A 2-year-old girl died when a tree fell on a mobile home in Pensacola, Florida, the Escambia County Sheriff’s Office said. Gordon continued to weaken over central Mississippi and by 4 p.m. CDT (2100 GMT) was about 45 miles (75 km) northwest of Jackson with maximum sustained winds of 30 miles per hour (45 km per hour), the Weather Prediction Center said. The threat of heavy rains and flooding will continue for several days in the Mississippi Valley, forecasters said. Energy companies and port operators along the Gulf Coast took steps to resume normal operations after Gordon shut 9 per cent of the region’s oil and natural gas production. Oil prices fell about 1 per cent on Wednesday, after fears about the storm eased. In the Atlantic Ocean, the NHC on Wednesday upgraded Hurricane Florence to a Category 4 storm on a five-step scale with maximum sustained winds of 130 mph (210 kph). The first major hurricane of the Atlantic season will affect Bermuda’s surf by Friday, but it was too early to say whether it would hit land. 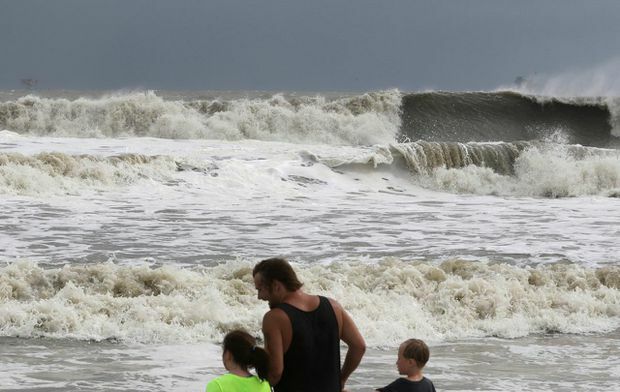 “Swells from Florence could also reach the U.S. East Coast by early next week,” the NHC said. Florence was 1,295 miles (2,080 km) east-southeast of Bermuda on Wednesday afternoon. Some weakening is forecast during the next couple of days, “but Florence is expected to remain a powerful hurricane through early next week,” the NHC said.